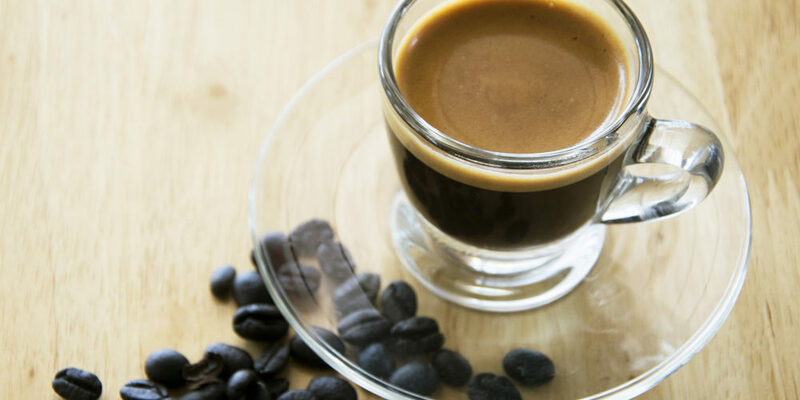 On one hand are the coffee purists, supporters of the tradition of espresso drunk from a small cup; on the other hand are the fans of coffee in a glass, a typical Italian custom throughout the peninsula. What is the difference between coffee in a cup and in a glass? First, there are those who believe that coffee served in glass is more elegant. With the glass, also, you can enjoy espresso with your eyes even before the palate, admiring the dark color changing to hazelnut and the light foam. Thanks to the transparency of the glass, you have an idea of the quality of the coffee; you can see the density, color and texture of the foam, an analysis that you cannot make with coffee in a cup. Still, lovers of the cup accept no substitutes: Espresso, the true Italian coffee known and loved the world over, is for drinking from a cup, ceramic or, better yet, a beautiful white cup of feldspar porcelain, so tough, compact and without any porosity. And, after all, even with a cup, the eye has its place; the white translucent porcelain highlights the hazelnut color of the coffee. The tapered shape of the glass allows the formation of higher and more compact cream that persists longer on the surface, preserving the organoleptic properties of the coffee so we can taste it better. The touch of your lips with the thin edge of the glass, compared to the thicker rim of a cup, for some would give a more delicate and pleasant flavor. A porcelain cup also, being a material with perfect thermal insulation, promotes the formation of cream on the surface. In addition, the typically conical form (tapering at the top) preserves the cream and conveys the aromas towards the nose, thus facilitating the olfactory analysis of the drink. There are those who argue that glass, thanks to its insulating capacity, allows keeping espresso coffee hot longer. Others claim that you can enjoy a hot coffee and for a longer time only in a small cup made of ceramic or porcelain, having good thermal insulation thanks to the thickness of the border. The difference is actually slight and also depends on the shape of the vessel and the opening of “mouth”: the larger the opening, the greater the heat loss. Lovers of coffee in glass claim that the flavor and aroma last longer in a glass. In contrast, proponents claim that only in the cup is it possible to savor the original aroma of espresso in all its intensity. In the end, it is essentially a matter of personal taste. How do you prefer it? Cup or glass, our dishes for your coffee are always spotless!